A classic to end all classics – and the record that showed the world that the kung fu genre could be every bit as funky as American crime and action films! Lalo Schifrin's at the height of his powers on this set – working in a blend of raw guitars, rolling bass, and choppy rhythms that groove about as fast as Bruce Lee's hands move on the screen in the film – and the album's a real standout in the 70s soundtrack scene, well worth all the hype and attention that's been given to it over the years! The record's one you'll dig if you're a fan of funk, or a student of Schifrin – and even after the passage of decades, it's still a tough soundtrack to beat. 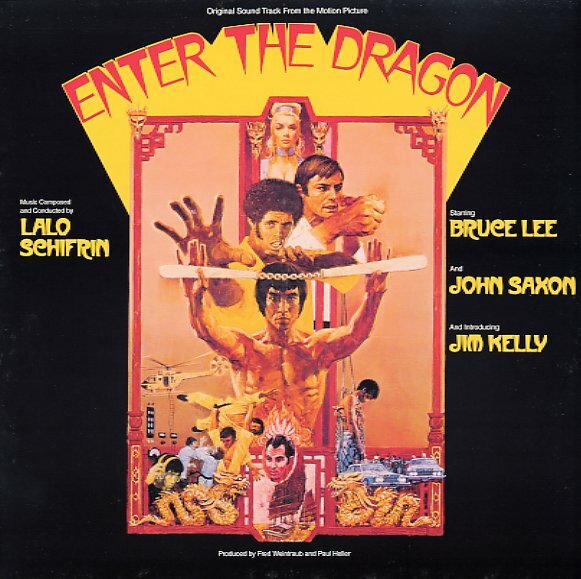 Titles include the classic "Theme From Enter The Dragon", plus "Bamboo Bird Cage", "The Monk", "Han's Island", "The Big Battle", and "The Human Fly". © 1996-2019, Dusty Groove, Inc.